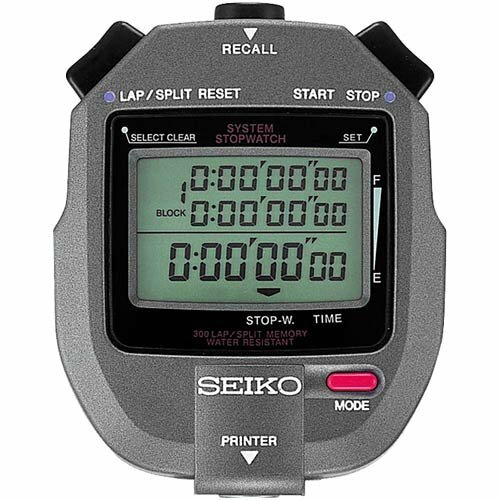 The Seiko 300-lap memory stopwatch measures up to 10 hours in 1/100 of a second and includes split/lap time measurement. It can store and recall up to 300 split/lap times and the memory is segregated by event. It's water resistant and features and easy-to-read, 3-row display panel.